Engage in cost effective marketing with A5 Flyers and leaflets. Our A5 Flyers are printed on a variety of of papers including gloss, silk and uncoated paper stocks. There’s honestly a paper for every need and at a multitude of paper weights. Remember the larger the number, the thicker the paper/card. Marketing is a year round effort and for salons this especially rings true. a busy salon today does not mean a busy one next week. As a marketeer we know that small and frequent marketing efforts have the biggest impact, so spend wisely and order A5 flyers to promote your salon. Many salon owners focus on special offers, seasonal trends or new services they have brought in to give them an edge over their competition. All of which, your customers need to hear about. Let us help your make your a5 flyers the best in town. 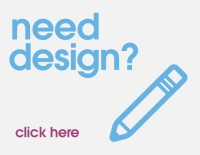 Our design team are among the best designers in Ireland and can bring your ideas to life with great quality, targeted marketing designs.